Don't let external ESG ratings dictate your strategy. Craft your strategy to deliver value. Compare and Contrast: See how different external ratings fit with the business practices in this Scorecard - and with each other.. 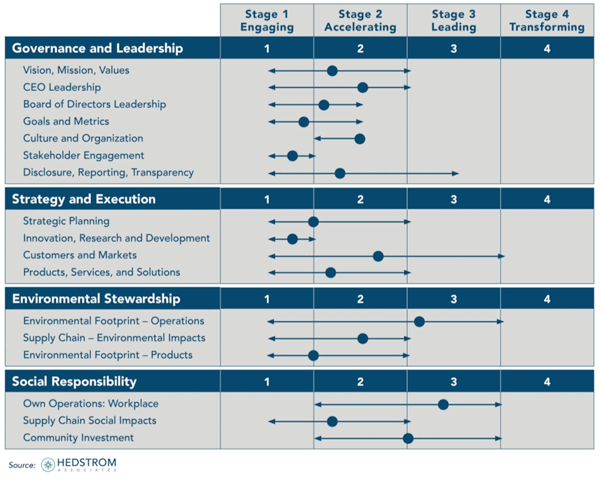 Remember - the Corporate Sustainability Scorecard was built by industry - for industry. Every component of the Scorecard is a practice leading companies actually do - and initiated on their own to drive business value. By External Rating: Select an individual external rating - and see the extent to which it addresses the corporate practices represented in this Scorecard. In order to become a Registered User of the Corporate Sustainability Scorecard, company executives have three options for joining. All three options are based on an annual agreement, starting on the date of clicking the Join button below. [products category="options" columns="3" orderby="title"] You can always change your selection, So - you can click the Option A (Free) one now and then decide on Option B (Basic) after you learn more. If you have any questions about the Join options, please email Gib Hedstrom. 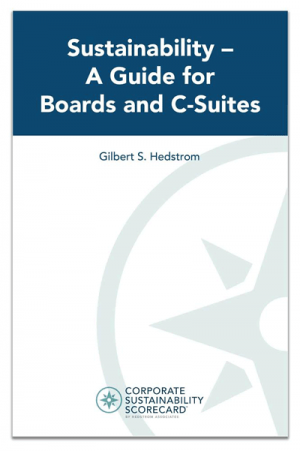 Executives from global corporations who would like access to the Scorecard, or would like to learn more about it, should contact Gib Hedstrom. What are the best few articles about Sustainability that I should send to the CEO? I am often asked the question above. 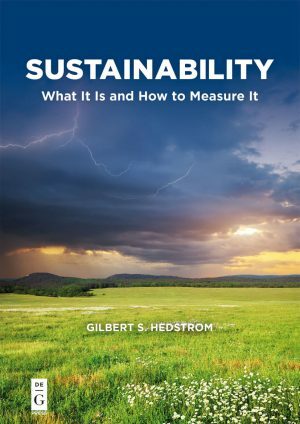 Depending on the circumstances, industry sector, stage of (sustainability) maturity, etc., here is some of my recommended reading. Currently under development; below is a start. Best Practices: Under each Key Sustainability Indicator that you rate your company on, there is a blue "Best Practices" box. Click here to see several examples of a Stage 3 or Stage 4 practice. Note: if you would like to suggest an additional best practice example (from your company or a peer company) you will see an opportunity to do that. 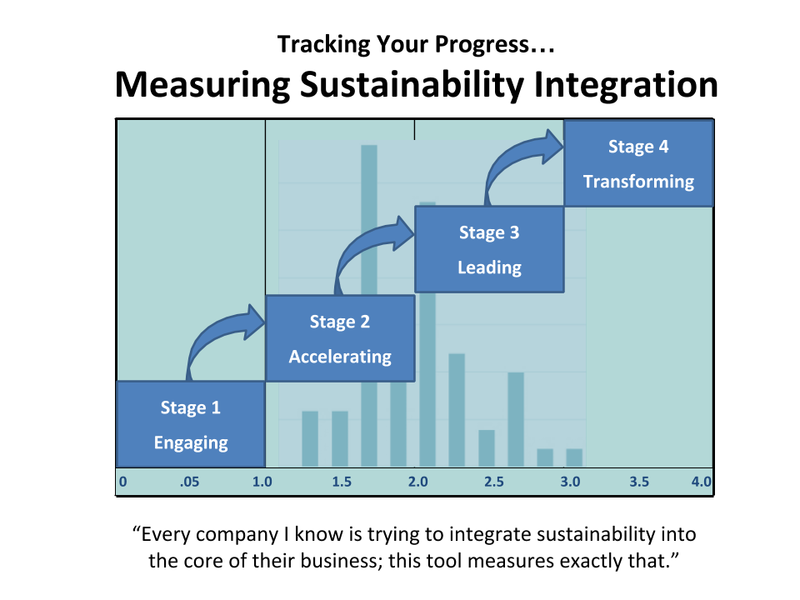 Why not Think about Sustainability the Way your Board does? Just click on “Edit this Submission” button below. Add or revise your "Highly Relevant to my Company" ratings. This is especially important! It triggers reporting that will be of value to you. Fill in any missing ratings (ones you clicked "Don't Know" or perhaps clicked "N/A" on the first pass). On the run? Don't have time to do this right now? Click here for an Excel Scoring Worksheet – to complete at your leisure, and Gib will send you one. This is especially helpful when multiple people from the company are involved in contributing to the company self-assessment. Click here for a downloadable file (Benchmarking Templates - March 2019). Fill in the two columns for your current ratings and assessment of "highly relevant" (~10% of the criteria). If you use the Excel or PDF formats, have a colleague update the assessment on line. 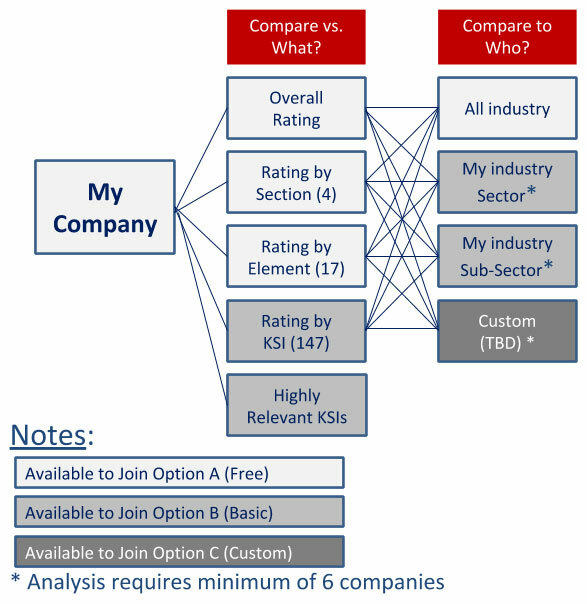 For "founding participants" ( those ~60 companies that completed the initial Scorecard by February 2018) here is a "Tracked" version - that shows the main changes made since February 2018 (content changes are highlighted in RED font and notation of KSIs that have been deleted / merged with others to eliminate redundancy).